This is a sponsored post with Dawn and Double Duty Divas. All thoughts, opinions and efforts that went into cleaning are my own. 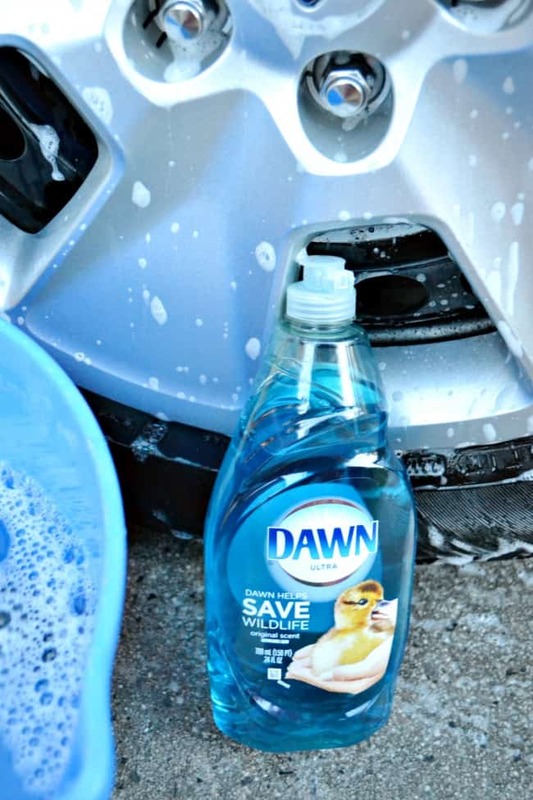 Dawn is my go to when it comes to washing dishes but it has also become my go to for so many other items including clothes. 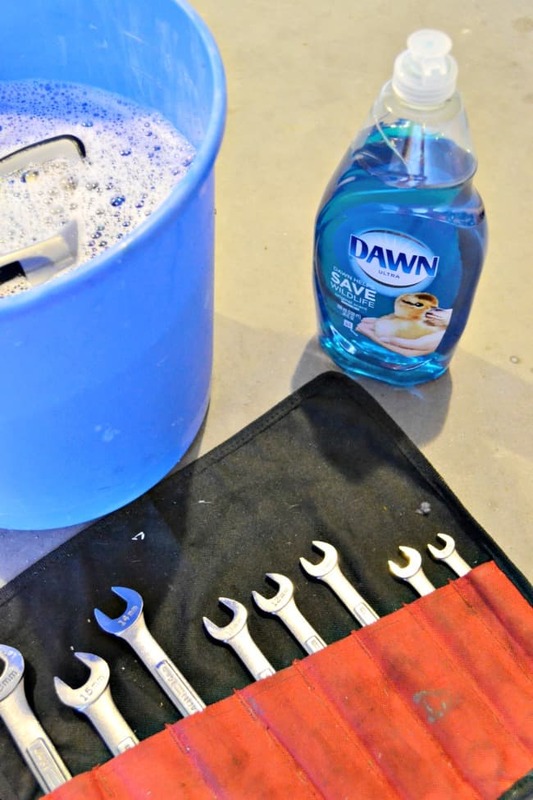 However, today I am going to share with you 2 unexpected uses for using Dawn Dish, Beyond the Sink and in the garage. I’m a do-it-yourself gal and as much as those tools belong to my husband they also get used a lot by me. I prefer to keep them without all that lovely grime. Remove grease and oil from your car or bicycle wheels by adding a teaspoon of Dawn to a gallon of hot water. Dip a soft sponge into your bucket, squeezing out any excess water and suds, and scrub the hubs until all the grease has been removed from the surface. Rinse with clean warm water and dry with a soft towel. Add a teaspoon of Dawn to a gallon of hot water. Use a dishrag or sponge and scrub away any grease or oil from your tools. Rinse them under running water and dry with a towel right away. Note: Do not allow them to soak! Dawn is throwing a #DawnBeyondtheSink Twitter Party to be held October 28th at 8pm CST. It should be a sudsy good time. Plus there will be chances to win prizes and who doesn’t like chances to win prizes? To participate RSVP and follow your hosts @DoubleDutyDivas, @BridgetteLA, @CeceliaMecca @AngieKcom @WhatMommiesNeed @RamblingChick, and our sponsor @Pampers. Dawn is also throwing a Pinterest party that starts October 27th and goes through November 24th. Prizes will be had as well and all you have to do is head over to Dawn Pinterest Boards and re-pin something you love, use #DawnBeyondtheSink in the description of your re-pin so that your entry counts. Also for you fellow DIYers like myself enter the giveaway below for your chance to win a 20-Volt Max Lithium-Ion Cordless Combo Kit. I just upgraded to the 20-Volt several months ago and it is fantastic, not near as bulky as the older models. Bleach that is gentle enough for delicates! Hardest tool to clean would be the wrench covered with grease. Great giveaway entered! Dawn is awesome. I haven’t found anything that I can’t clean with it yet. I even use it to clean my shower. All you need is a bucket of Dawn and water and a scrub brush. Boom! I am going to tell my husband about this so he can try it on his tools! Neat idea. Down is mild enough to wash pets but helps with fleas! I learned that at a really young age. My mom uses it to wash her doggie, 15 year old cocker spaniel poodle mix. I love Dawn! I never would have thought to use it for in the garage, though! 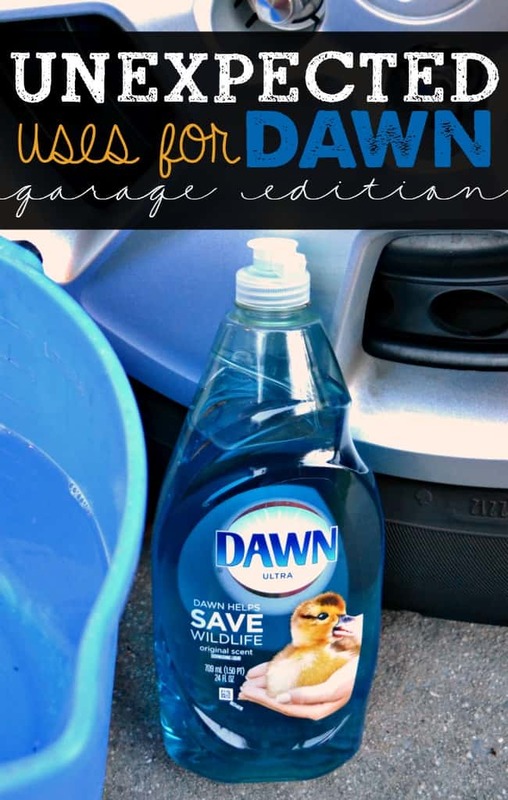 I never thought about cleaning in my garage with Dawn. Definitely lots of great uses! We always use Dawn to wash our car. It’s great on the tires, too! Dawn is pure amazing! There is NOTHING dawn can’t clean and make beautiful again! Dawn is awesome. I use it on a lot of stuff. My favorite place to use it is on the grill, which is a bear to clean. Dawn works amazing on grease. I also use Dawn to fight fleas. It works great and is gentle on the dogs. I haven’t used Dawn for all of the great services listed. But I definitely used it to clean my babies bottles. Dawn is practically a miracle worker in our home. We use it as everything from dog shampoo to car cleaner! The drill is the hardest tool to clean when it gets greasy. I always want to make sure not to get the insides wet with cleaner. But the grease can’t come in the house. My hardest thing to get clean in our pots and pans, especially after breakfast. But I do use Dawn and it really helps. You can use it for SO many things! Thanks for sharing these ideas. I didn’t know the tire one. I’ll have to tell my guy about this! Clean up those greasy tolls for good! I never really thought about using it beyond dishes! Thanks for the suggestions! Great ideas! I’ll pass this along to my husband.